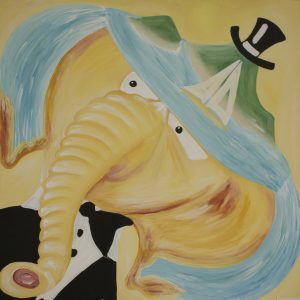 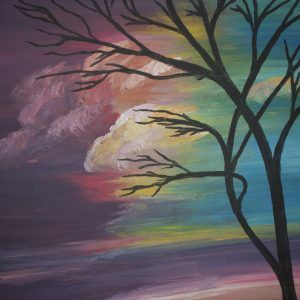 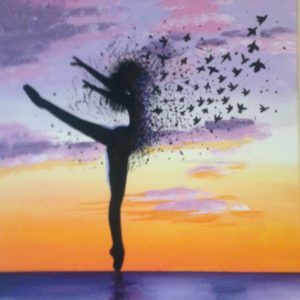 “Jumping Around” is an original painting by Wesley Taylor. 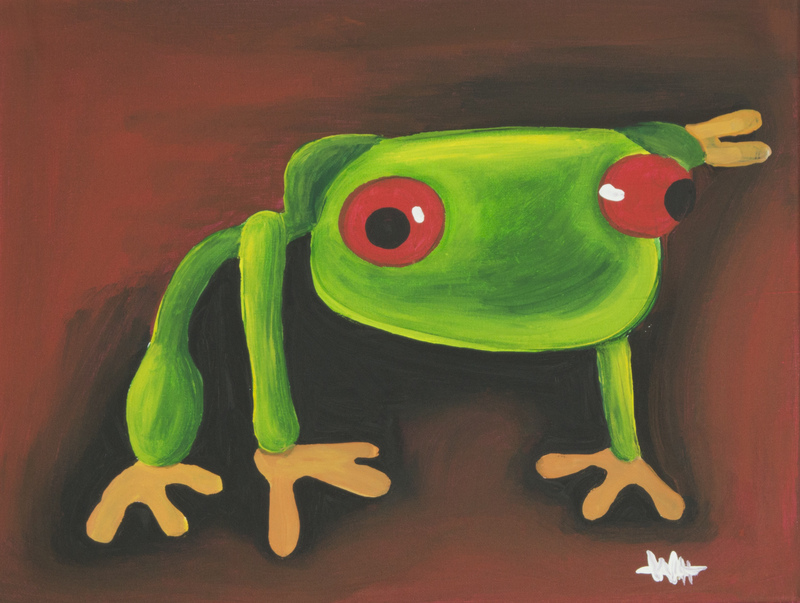 It depicts a red-eyed Tree Frog, which is one of eastern Australia’s most colourful frogs. 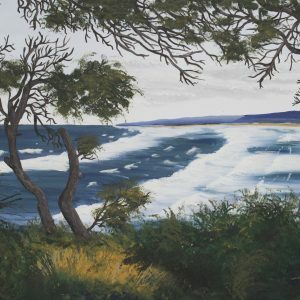 It is a part of Wesley’s ‘Australian Atmosphere’ collection. The nocturnal frog is a favourite with photographers and painters alike.